Leslie Herman will release this amazing Trey Anastasio poster later today. 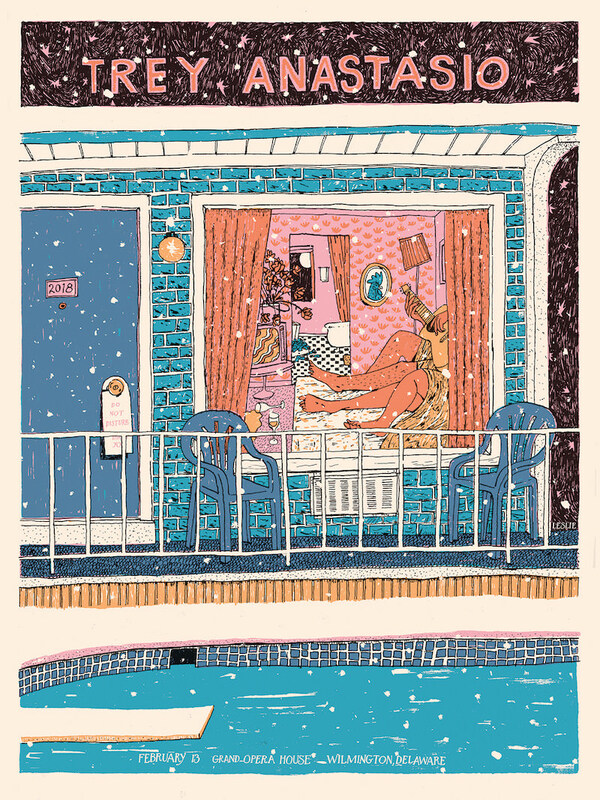 It’s an 18″ x 24″ screenprint, has an artist edition of 30, and is yet unpriced. It goes up today (Wednesday, February 14th) at 1pm Eastern Time. Visit LeslieHerman.com.